The time has finally come! We’ve just started to announce our plans for this year’s Fantastic Arcade — our first year independently curating, organizing and operating the festival as JUEGOS RANCHEROS, hosted by the Alamo Drafthouse at their newest Mueller theater this November 17-19th (full, three-day passes are available now). Most excitingly, as we did last year, JUEGOS RANCHEROS has commissioned six games from some of our favorite developers to premiere at the festival in custom mini cabinets, all of which will be simultaneously released worldwide via a bundle on itch.io. 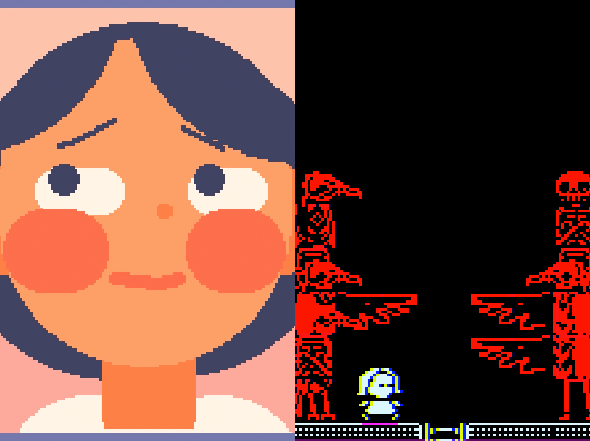 This year’s cabinets will include new games from: Jenny Jiao Hsia, the NYC-based artist behind games like Beglitched and Stellar Smooch, as well as Loren Schmidt, creator of Strawberry Cubes, Realistic Kissing Simulator and the IGF-nominated Star Guard. 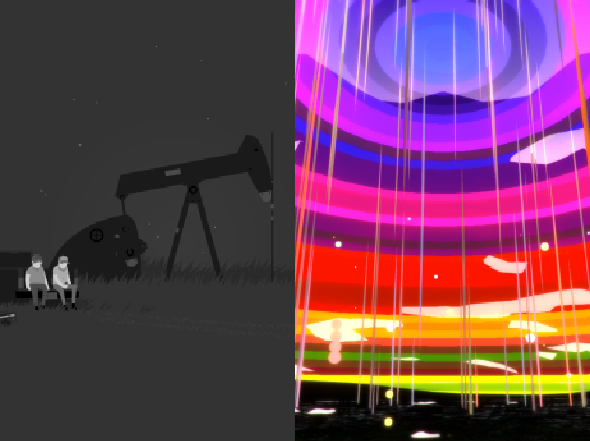 We’ll also have a new game from Conor Mccann, the Texas-based artist best known for his Mystic Western Game Jam game Black Gold, and Fernando Ramallo, creator of the Fantastic Arcade favorite interactive music/landscape app Panoramical. Finally, we’ll have games from Kyle Reimergartin, another Fantastic Arcade mainstay dev behind our long-time favorite Fjords, and Brandon Williamson, known best for Forget-Me-Not, a would-have-been 1980s classic arcade hit, had it not been created just a few short years ago. Below the fold is the first press release for the upcoming 2017 Arcade with more information on our arcade cabinets and the first ten games we’ve chosen as our Spotlight selections, alongside links, images and videos for all the games detailed below. All of us here are looking forward to seeing you all at this year’s Arcade! AUSTIN, TX – October 9th, 2017 – Organizers of Fantastic Arcade have announced the November 17th return of its yearly festival, which showcases the best in cult and independent games. Now in its eighth year, the latest installment of Fantastic Arcade will feature brand new games from the creators of beloved indie hits like Spelunky, QWOP, and FTL, alongside a wide variety of work from fresh and up-and-coming talent. 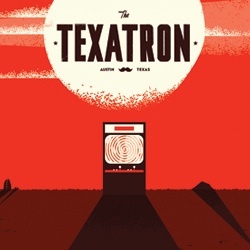 For the first time since its founding in 2010, this year’s Fantastic Arcade is being curated, organized and operated entirely by Juegos Rancheros, Austin’s independent games collective, and will be located at the Alamo Drafthouse’s Mueller location — the chain’s newest theater — and its built-in boardwalk carnival-esque bar, the Barrel O Fun. The collective will be bringing a selection of more than 30 independent games from around the world, alongside custom-built, free-to-play arcade cabinets created for six games. These six games were incubated by Juegos Rancheros from some of the festival’s fan-favorite developers. Ten of its Arcade Spotlight titles are detailed below, along with information about the six developers joining this year’s custom cabinet program. 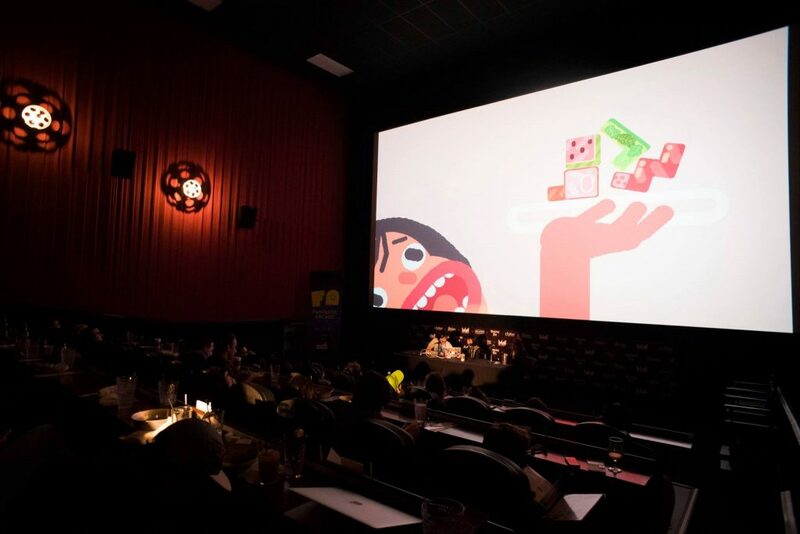 In addition to the selection of free play games on display and open to the general public at the Barrel O Fun and the upper floors of Alamo Drafthouse Mueller, Fantastic Arcade will once again feature a number of special events, panel discussions, developer talks, and game tournaments from November 17th-19th. Full, three-day passes are available now at the Fantastic Arcade website, and include a downloadable bundle of all six original games being created for this year’s festival, and a ticket to this year’s opening night party. The 2017 lineup of games have been chosen from hundreds of submissions by Juegos Rancheros, Austin’s independent games collective operated by Adam Saltsman, Wiley Wiggins, Katie Kizziar, Rachel Simone Weil, and Brandon Boyer, alongside Fantastic Arcade Technical Director Joshua Fields. Dozens more additional games will be announced as part of the full Fantastic Arcade lineup in the coming weeks, alongside a schedule of its special nightly tournaments — an annual fan-favorite tradition — exposition plays, panel discussions, and developer talks. Tickets for Fantastic Arcade are available now at its website. Now a fully independent festival, Juegos Rancheros would like to remind all attendees, developers and staff that the event is covered by our Safe Spaces Policy, which can be reviewed in its entirety at the Fantastic Arcade website. Fresh off the back of her 2016 Fantastic Arcade appearance showcasing her Consume Me collection of body-image minigames, NYC’s Jenny Jiao Hsia — who also is known for her work on games like Beglitched & Stellar Smooch — will be creating a brand new work for Fantastic Arcade. The creator of games including Strawberry Cubes, Realistic Kissing Simulator, and Star Guard (which was nominated for an Independent Games Festival design award), Schmidt frequently explores procedural generation and the abstract, with a delightful sense of uncanniness even in more traditional platforming and arcade style games. First coming to the attention of the Juegos Rancheros collective when he submitted the incredibly strong short-story game Black Gold to the group’s Mystic Western Game Jam, fellow Texan Mccann captures fantastic surreality, even in short, simple geometric loops. We expect his first arcade game will be a true wonder. Ramallo made his Fantastic Arcade debut in 2013 with the interactive landscape/musical tool Panoramical, a game he’d brought along with him as a festival attendee the year prior. Currently working with Google on its Tilt Brush VR art package and now a true Arcade mainstay, Ramallo will be creating brand new work for his arcade cabinet some five years later. 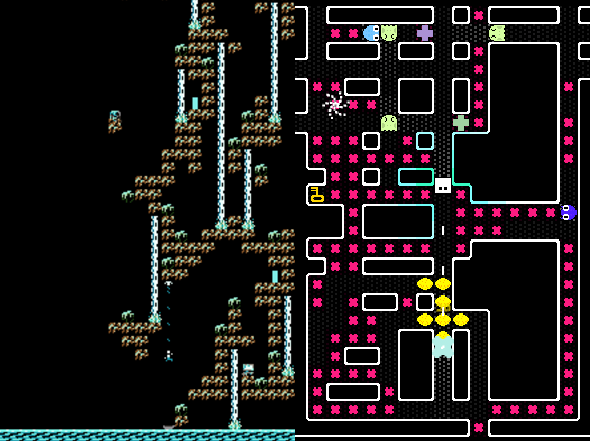 Reimergartin’s game Fjords — as well as his idiosyncratic live musical performances at multiple iterations of Fantastic Arcade — quickly made him a festival favorite. Reimergartin is currently at work on finishing what is destined to be his new arcade classic, Banana Chalice, which itself earned the Most Fantastic Award at Fantastic Arcade 2014. Brandon ‘Nyarlu’ Williamson is best known for Forget-Me-Not, a 2011 PC and mobile game that feels every bit like a lost arcade game from the golden years of the early 1980s. This will mark his first appearance at Fantastic Arcade, after going under-represented for far too long. Game titles, screenshots and other details from these teams’ ongoing work will be revealed closer to their festival debut, when they will be made available as a downloadable bundle on itch.io for purchase worldwide. In addition, the following ten Arcade Spotlight titles will be highlighted during Fantastic Fest, chosen from the hundreds submitted to this year’s festival. Disco Bear is the heartfelt story of a bear being asked to dance once more. 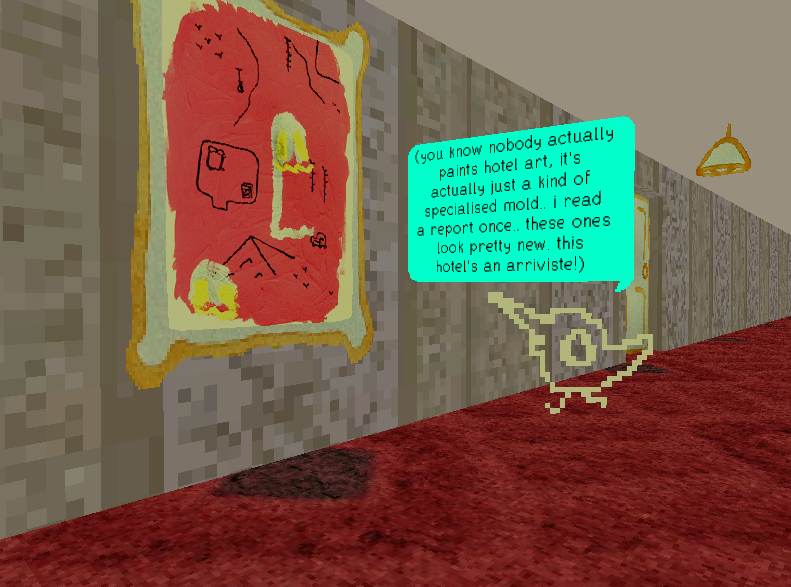 Untitled Goose Game is a stealth & slapstick simulator from House House, creators of Push Me Pull You. It’s a bit like a nice day out in the park, except you’re a goose, and you’re here to ruin everyone’s nice day out in the park. The remnants of human civilization are threatened by gigantic creatures breeding beneath the earth. You must control powerful mechs from the future to hold off this alien threat. Each attempt to save the world presents a new randomly generated challenge in this turn-based strategy game from the developers of FTL. Minit is a peculiar little adventure played sixty seconds at a time. Journey outside the comfort of your home to help unusual folk, uncover countless secrets, and overcome dangerous foes, all in hopes of lifting a rather unfortunate curse that ends each day after just one minute. The rules are simple. Reach the other side and kill anyone that stands in your way. Deftly parry and rend their throats, riddle their bowels with arrows, or squish their brains between your toes. The wurm cares not for chivalry. Why did I make this? This horrible hike up an impossible mountain. I could have made something you would have liked. A game that was empowering, that would save your progress and inch you steadily forward. Since success is delicious, that would have been wise. Instead, I must confess: This isn’t nice. It tastes of bitterness. It’s capricious, it sets setbacks for the ambitious. It lacks lenience; It’s bracing, and inhumane, but not everyone’s the same. I created this game for a certain kind of person. To hurt them. Fly your tiny defenceless pod up to larger ships, dock with their airlock, and sneak inside. 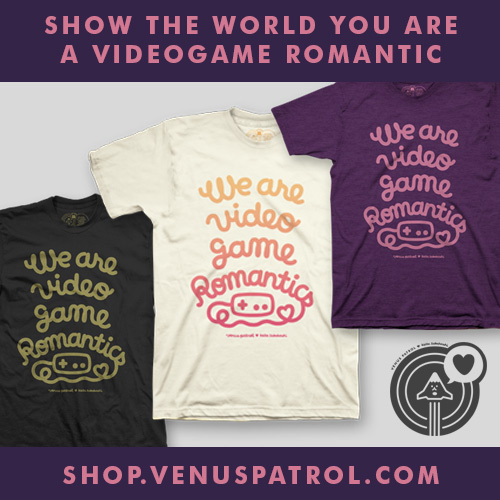 Once you’re in, you creep through their corridors, ambushing guards, hiding bodies, stealing new weapons, blowing them up from the inside, or hijacking their turrets and even the whole ship. Celeste is a platformer about climbing a mountain, from the creators of TowerFall. Uncover the mystery of the mountain’s power and outrun your reflection on your journey to reach the top. A “dream computer tripadvisor”, from the creator of Fantastic Arcade favorite, Murder Dog IV: Trial of the Murder Dog. Tom van den Boogaart’s beloved first-person exploration game from 2014 returns in 2017 in a brand new, remastered form.